As timeless and romantic as they come, this classic solitaire features a central round brilliant cut diamond set simply with four claws on a classic plain band. 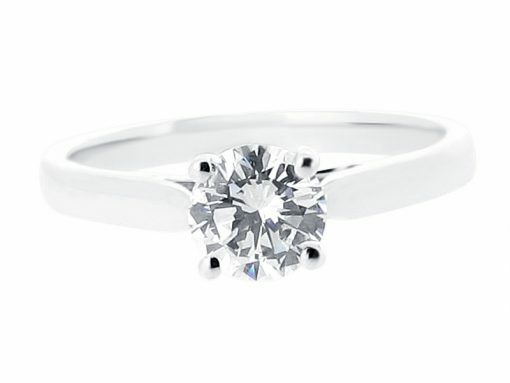 This simple paired back setting naturally enhances the diamond’s natural beauty. Looking for a particular carat weight? This style can be made with centres stones from 0.30ct to 2.00ct. Larger carat weights are available by request. If you would like to see more of our comprehensive range of solitaire rings, please contact us to arrange an appointment to meet us at our comfortable offices just off Grafton Street. 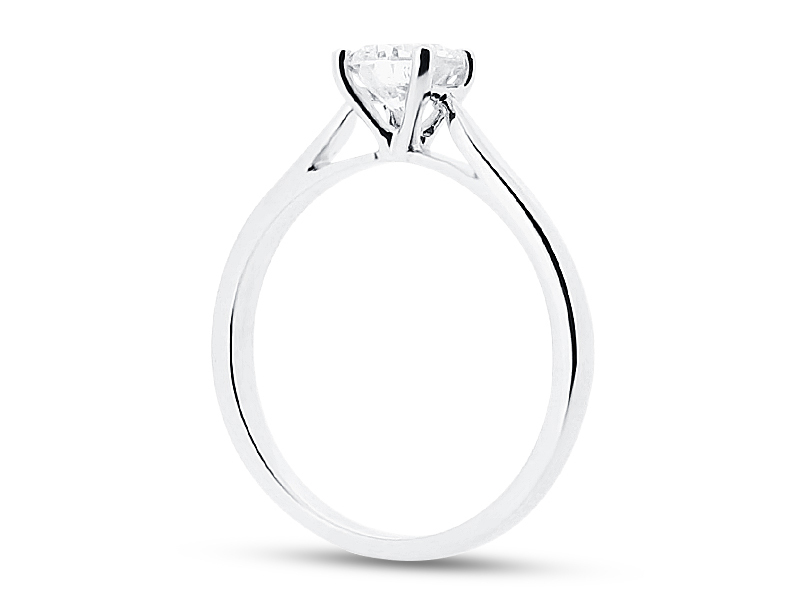 Our professional consultants will be delighted to show you our full range of engagement rings and and discuss your preferences.